We pride ourselves in having one of the best replicas of the original 6-pronged solitaire ring. We could custom tailor this ring to your exact specs. Upon request, you will see 3D CAD images before we start on production. Change the band width, band or prong thickness, sharpness of knife edge or none at all, shoulder height, etc. Change how high or low the center stone is set. 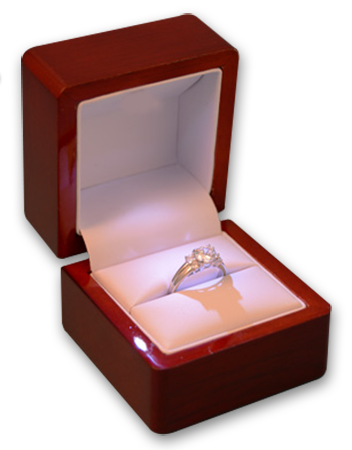 We could also modify this ring and use the 6-prong head with a diamond band for an additional fee. This perfect engagement ring is a Six Prong Solitaire Ring With Knife Edge. The unique design of the Six Prong Solitaire Ring With Knife Edge could come with a princes cut diamond or a cushion cut diamond. You can view all our Solitaire engagement rings, Round Cut engagement rings.We have a full collection of engagement rings. Create the perfect ring by matching a white gold, yellow gold or platinum engagement ring setting of your choice to any of our thousands of diamonds.